The trade union of Rakvere Meat Processing Plant, which is owned by Nordic food manufacturer HKScan, is to organize a picket in Finland in support of the striking employees of the Rakvere plant, and has also registered a new support strike to begin next Thursday. 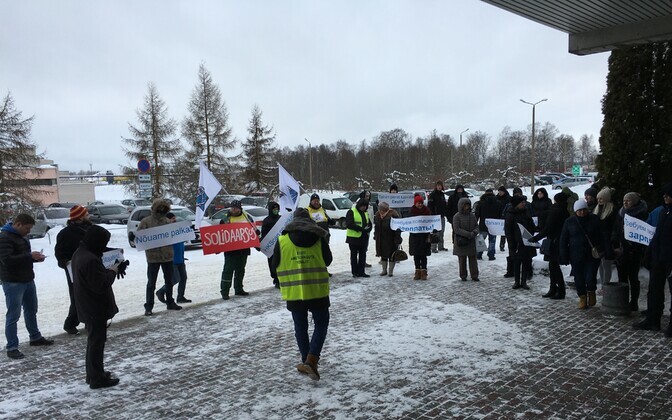 The plant's trade union, in cooperation with the Finnish trade union, is planning a picket in support of the strikers in front of HKScan's head office either in Turku or in Vantaa, Estonian Trade Union Confederation (EAKL) secretary Artjom Arhangelski told BNS on Thursday. 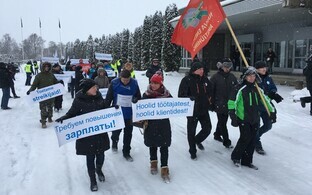 He added that the union has also registered a new support strike in support of the employees of the meat plant which is to begin next Thursday and last three days. "The employer has not made any proposals," Arhangelski said. "We will continue our activity." According to the union confederation secretary, the number of trade union members has grown to approximately 105-110 people. 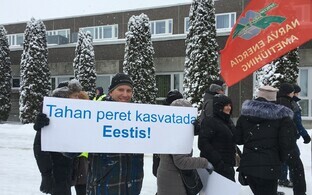 The wage dispute at Rakvere Meat Processing Plant began on Oct. 17, when 27 slaughterhouse employees staged an illegal strike, resulting in the dismissal of three employees. The employees said they were protesting against poor working conditions as well as the stagnation of wages, which have not been raised for the past ten years. 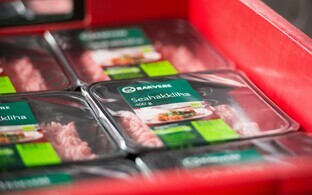 The slaughter line employees of Rakvere Meat Processing plant are demanding a base wage hike of 16 percent as of Feb. 1 and a second 16-percent hike as of July 1. Also demanded in the strike announcement sent to the employer by the unions on Jan. 19 is that the employer not make changes to the way incentive pay is calculated. According to the unions, this would mean an increase in the workers' base hourly wage to €4.34 as of Feb. 1 and €5.03 as of July 1. 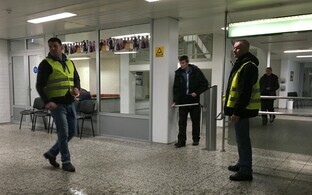 Based on the unions' calculations, this should increase slaughter line employees' average monthly wages to €1,079 as of Feb. 1 and €1,195 as of July 1. 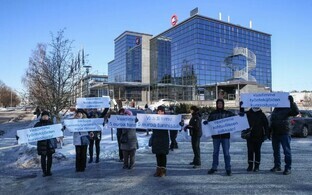 HKScan Estonia, meanwhile, announced that they have decided to increase the entire company's payroll by five percent in the second quarter.